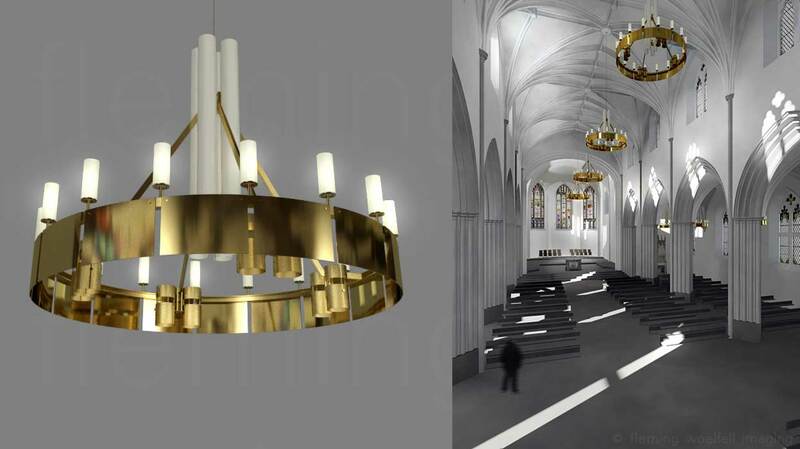 3D prototypes of the main chandeliers hanging in the Cathedral nave. 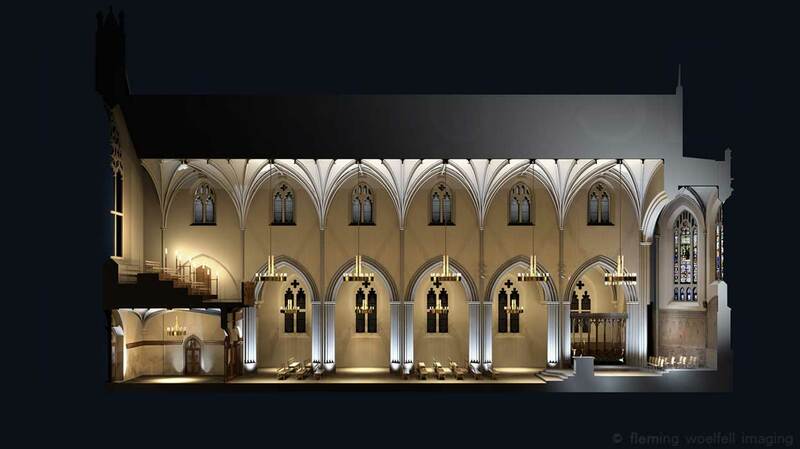 Sanctuary lighting with the chandeliers dimmed in the Nave. 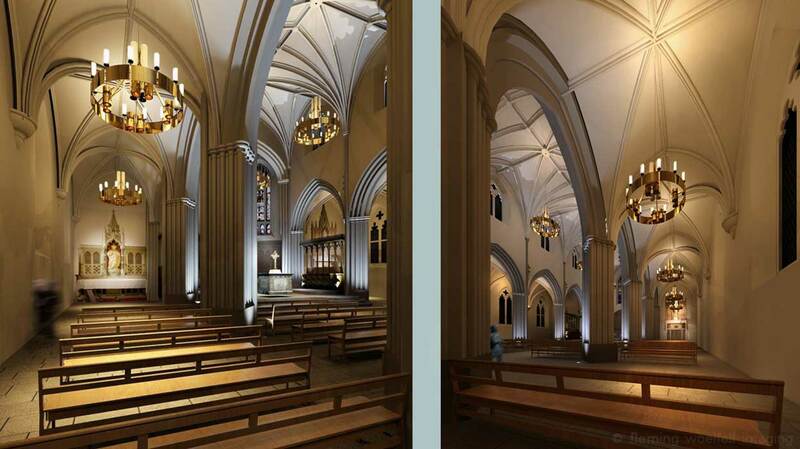 Uplighting to the base of the piers turned on. 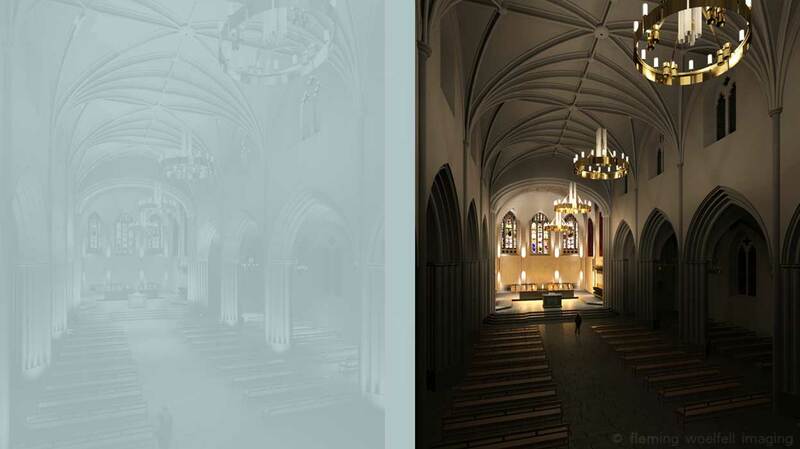 Smaller chandeliers added to the side aisles. 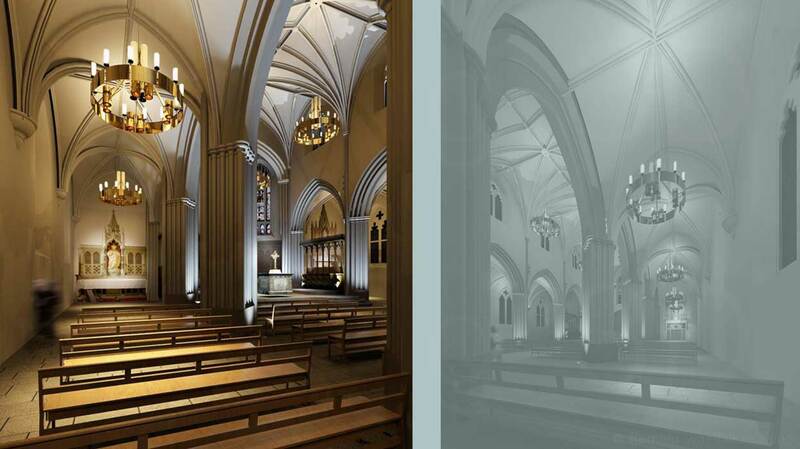 As part of the restoration work by Page/Park Architects, lighting for this early 19th century Cathedral was designed by Foto-Ma Lighting Architects. 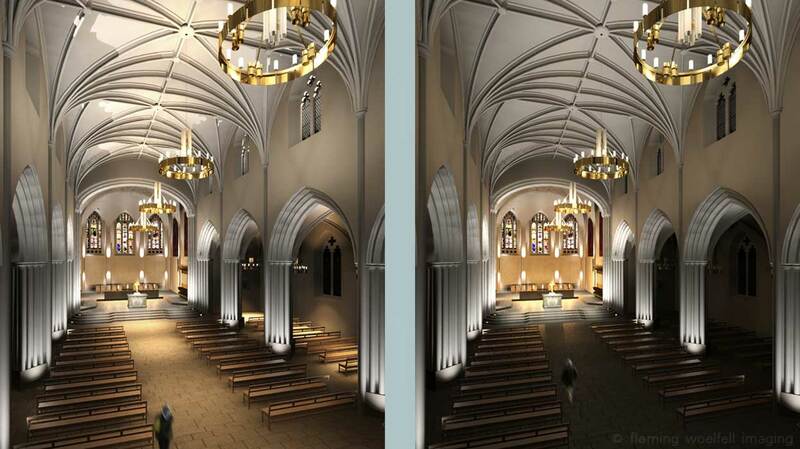 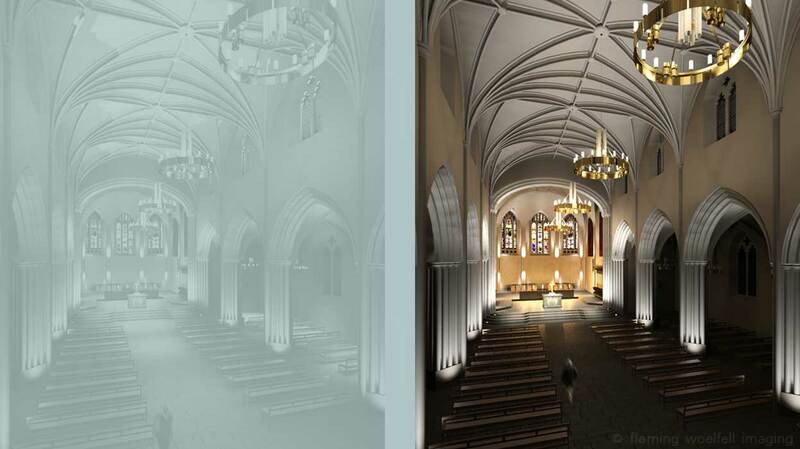 We were brought in at the beginning of the project to work on the development of virtual prototypes of the new fittings and to test and visualise all the component parts of the lighting design in our 3D models of the Cathedral and the Cloister Garden.